We hope you've been enjoying this project as much as we have. Today brings us the fourth block in the October Cathedral Windows Quilt-Along! 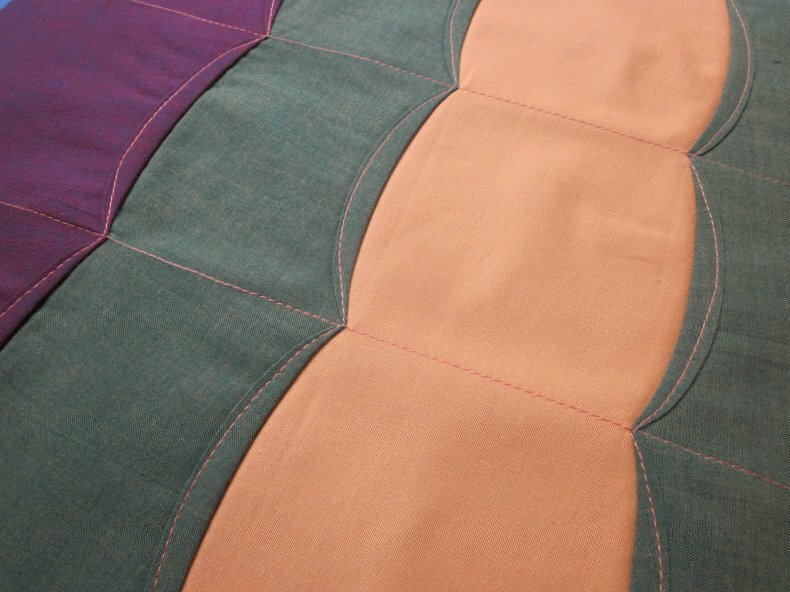 "I can't believe we're already nearing the halfway point of the Cathedral Window QAL! 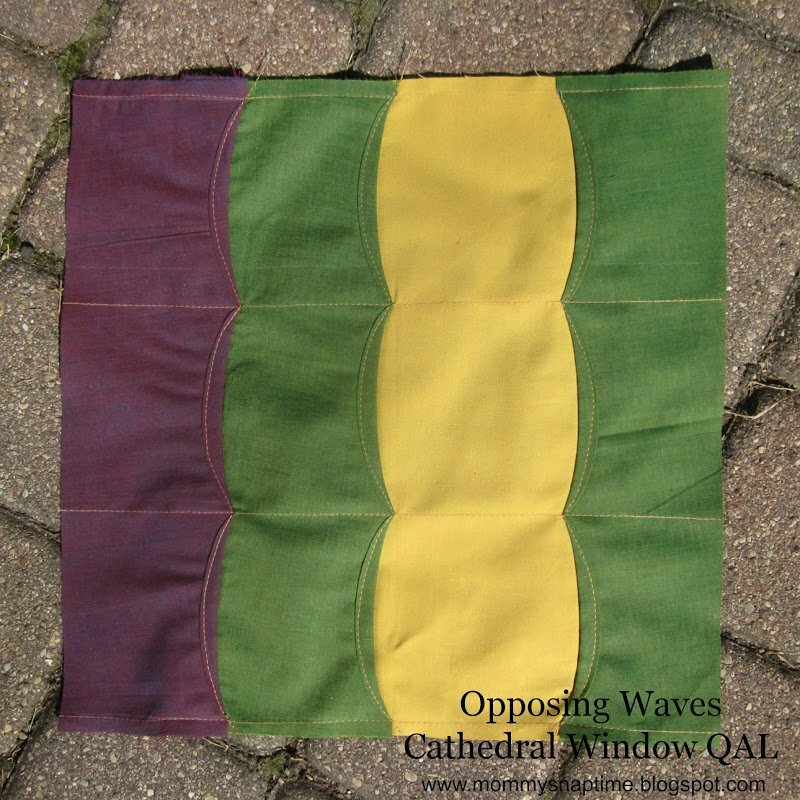 Here is my contribution, the Opposing Waves block! "I had a lot of fun putting together this block. I cut the pieces at a slight bias for extra curve, although that step isn't entirely necessary it will give your waves a more dramatic effect. The fabrics I used were Kona Curry, and Kaffe Fassett Shot Cotton in Lichen and Moor. The shot cottons look really amazing in this block, although it is hard to take pictures of that amazingness!" View Emily's step-by-step tutorial here. Be sure to check back on Monday the 15th for the next block in the series!